As we have mentioned in numerous postings before, there was an active Central American Solidarity Movement in the 1980s, resisting the US wars in El Salvador, Guatemala and the US funding of the Contra War in Nicaragua. US aid to the Contras continued for most of the 1980s, even if that aid was so-called humanitarian. US Congressman Paul Henry, who represented the 3rd Congressional District) continued to vote for aid to the Contras, which resulted in a series of actions taking place at this office in the federal building or outside the federal building. The article below, which is from the Grand Rapids Press (June 26, 1986) involved several members of the Koinonia House, who placed crosses in the law of the federal building, with names of Nicaraguan civilians, as a way to draw attention to the US-back Contra War in that Central American Country. 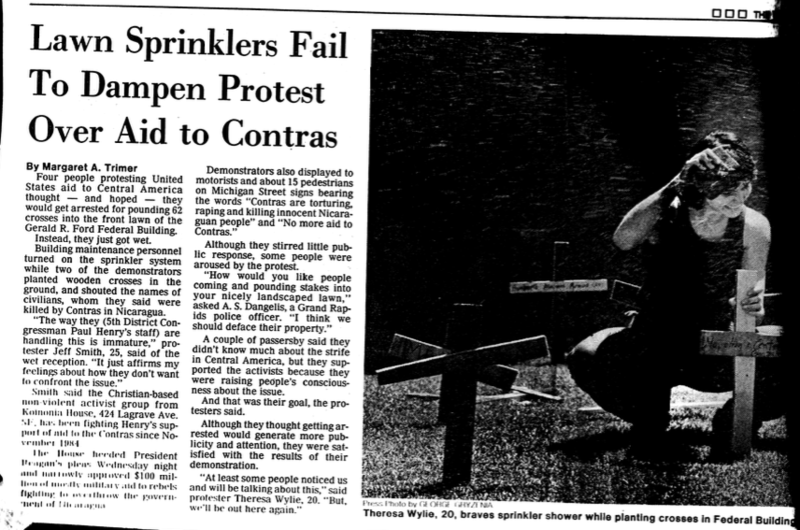 During the placement of the crosses, the federal building security people turned the sprinklers on those protesting, thinking that would deter them from taking action. It did not have the effect that the Federal Building security guards thought it would. 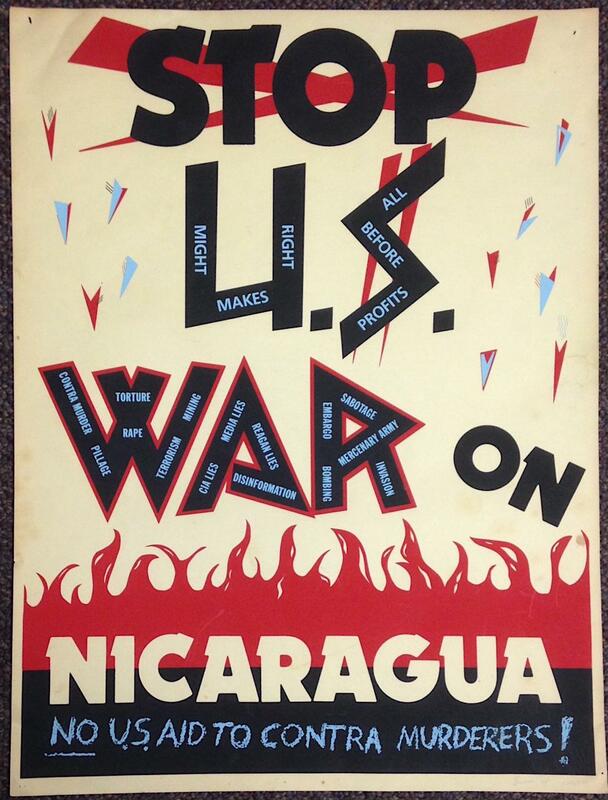 This entry was posted in Central American Solidarity Movement and tagged anti-contra action in Grand Rapids, protesting Congressman Paul Henry's support of the Contras. Bookmark the permalink.